So, it is only natural if you feel like you need a break from housework. However, taking a holiday from all your household chores is easier said than done. 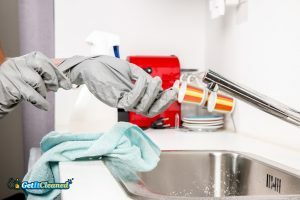 Imagine what will happen if you stop washing your dishes and clothes or vacuuming and dusting for a just a week or two – a total disaster, right! But there is a way around it that will help you to either reduce your weekly housework load or to go on a well-deserved chore-free holiday. The most time-consuming housework task for most people is cooking. As an alternative to it, you can order in or eat out. That, however, can burn a hole into your pocket. Instead, you can effectively stop cooking for about two weeks if you invest a day of your week into prepping various meals that are durable. Spare a day to fill up your fridge and then you can spend days in a blissful anti-cooking oblivion. Technology is both a bliss and a curse but when it comes to housework, it can provide you with a lot of free time. You probably have a washing machine and a dishwasher. But did you know that you can use the former to clean your shoes or the latter to sanitise your pet’s toys or your kitchen sponges? Well, now you do! Also, buy yourself a few other domestic appliances such as a tumble dryer and a robot vacuum cleaner. Yes – your electricity bill will increase but that is the price you will have to pay if you want to cross out a few household chores on your to-do list quickly and easily. If you do most the housework, it is high time to say “That’s enough!” Organise a coup d’état and divide the chores between all members of your household. Even the children can help by doing things such as folding clothes, dusting or cleaning their room. If you are living alone and you have no one to help you, rely on a low-cost domestic cleaning service in London. You can book an experienced and equipped cleaner or even a team of cleaners for a one-off job or on a regular basis – whatever works best for you. Want a vacation from housework? Why don’t you go on a real-life vacation then? If there is not one in the house for a week or two, you will not need to cook, clean, etc. All that will be expected out of you is to rest and relax. Sounds good, doesn’t it?